Mining Industry | ABC Customs Brokers Ltd.
Get our weekly newsletter delivered right to your inbox and never miss out on the latest in international trade news, cross-border issues and customs regulations. Please check your inbox for one last step. Problems with Canadian Food Inspection Agency (CFIA) due to the requirement for steam cleaning. Problems with the U.S. Customs and Border Protection 72 hour rule for exporting vehicles. Daily interaction with the Canadian Food Inspection Agency (CFIA) to ensure the most up-to-date accuracy of information. United States Licensed Customs Brokers on staff who work with our Canadian vehicle Import Specialists. Educational seminars and workshops to assist you and your staff of understanding Canadian and U.S. Customs rules and regulations. 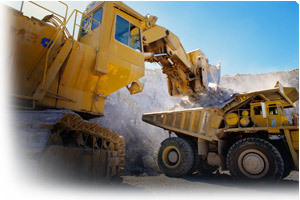 Freight Services to assist with equipment, machinery, infrastructure relocation. ABC Customs Brokers Ltd. © 2004 - 2019. All Rights Reserved.